Clients of Sousa & Associates, LLC, with offices in Shelton and Orange, Connecticut, entrust their workers' compensation issues and other legal matters to our law firm with complete confidence. The level of experience, dedication, and personal service that distinguishes Sousa & Associates, LLC, works in each client's favor. Contact Sousa & Associates, LLC to talk to a career workers' comp lawyer about a work injury or a workers' compensation denial or appeal. We have a track record of solid results on behalf of injured and ill Connecticut residents who have sustained a back injury, neck injury, head injury, broken bone, or other serious injury that occurred at work. Injuries that are eligible for compensation through workers' compensation include both traumatic injuries (such as when an item falls on a worker's foot) and repetitive stress injuries (such as a back problem that develops over time). Our results include obtaining payment of medical expenses and lost earnings, awards for permanent injuries, settlements, and the protection of our client's jobs. Thanks to word of mouth and positive referrals of satisfied past clients, the workers' compensation lawyers of Sousa & Associates, LLC maintain a thriving practice serving large numbers of United Parcel Service drivers, blue-collar workers, police, firefighters, and employees throughout the Valley and beyond. Our workers' compensation lawyers have recovered tens of millions of dollars on behalf of workers' comp claimants in Connecticut. We represent clients on a contingency basis. In addition to waiting for payment of attorneys' fees, we advance the funds necessary to pay for expenses until benefits, awards, and settlements are received. 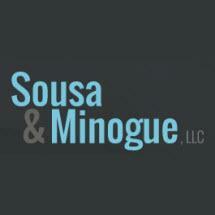 Sousa & Associates, LLC is much more than a workers' compensation law firm. Attorneys at our firm handle a wide variety of legal matters encompassing practice areas such as personal injury, motor vehicle accidents, slip and falls, defective products, family law, divorce, support, custody, residential and commercial real estate, zoning, and criminal defense, including DWI and all felonies and misdemeanors. Contact us by phone or e-mail to schedule a free initial consultation. Nothing herein implies that we specialize in workers' compensation or have UPS proprietary information. Each claims value is unique to its facts and circumstances. Past results are not indicative of future recovery.